Mushrooms of the West Coast - October 2019 West Coast N.E.S.T. This three-day field-course (Friday evening until Sunday noon) will introduce participants to the wonderful world of West Coast mushrooms. 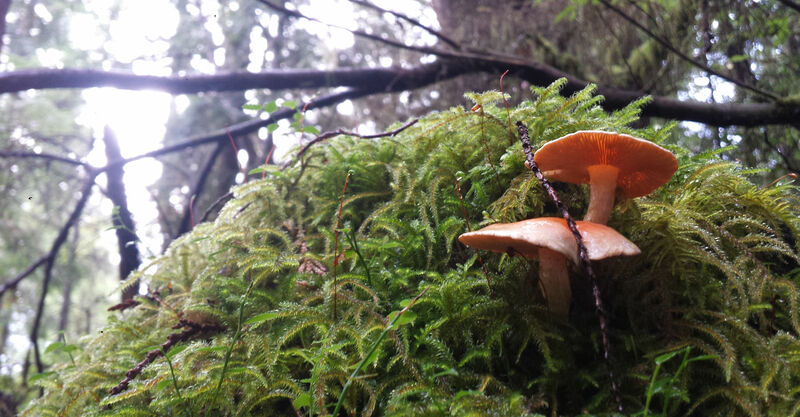 • Introduction to fungi - what are they, and what is their role in our forests? Andy MacKinnon is a forest ecologist who lives in Metchosin BC. His fields of study include BC's native plants, fungi and lichens. Andy is co-author of six field guides to plants of western North America, an Adjunct Professor in the School of Resource and Environmental Management at Simon Fraser University, and Vice President of the South Vancouver Island Mycological Society. • Introductory presentation for mushroom course participants - overview of wild mushrooms, different fungus groups, role of fungi in ecosystems & mushroom identification. Register with the Raincoast Institute through the link below.